Speaking with patrons at Jamaica Labour Party East Portland candidate Ann-Marie Vaz’s birthday bash/free stage show in Portland, the “Single Mother” singer said that she was almost attacked by Beenie Man at a recording studio. Pamputtae claims the veteran entertainer tired to assault her with a stool after she failed to acknowledge his presence. “Mi nuh like the man dem weh have woman strength. Mi nuh like the man dem weh quick fi beat woman,” Pamputtae said. 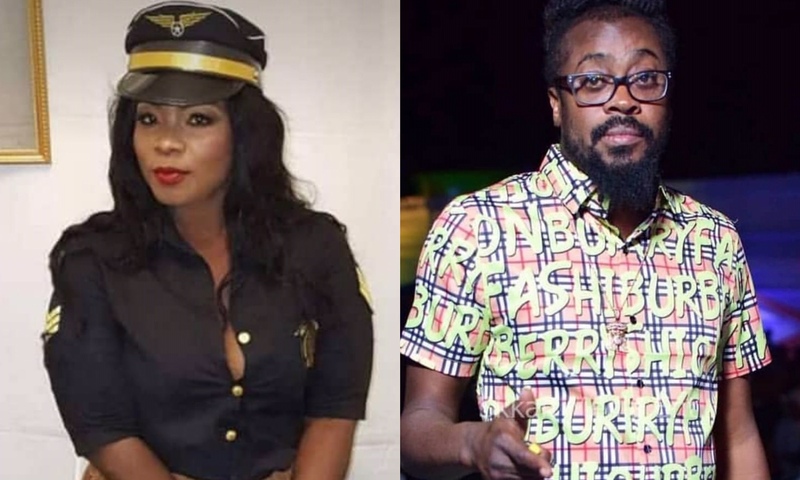 “Around three weeks ago Beenie Man draw stool fi lick me down for no reason at all, because true me hail everyone in the studio and never hail him,” she continued while stating that she will leave Beenie Man to time. This is not the first time Pamputtae has called out Beenie Man, following the 2017 staging of “Ghetto Splash” in Waterhouse, St. Andrew. Pamputtae called the Doc a liar and conniving after she claims he used his influence to have her performance cut because he wanted to take the stage at a particular time. It was theorised that Pamputtae’s close friendship with Dancehall entertainer Spice is the reason for her ongoing beef with Beenie Man.